Use these as building blocks to make other games. This is my default mode when thinking about games. Raph Koster gave a great talk entitled "Practical Creativity - A way to invent new kinds of video games". I shared it on twitter this morning. I made some further comments but I think it's easier to explain what I thought in a blogpost. It's an interesting talk but very reductionist; giving the impression narrative and game mechanics can be cleanly separately. I think this is often true but not always true. A specific example comes to mind to illustrate this from Telltale Game's The Walking Dead. This segment of the game is resistant to being easily separated into mechanic and narrative. 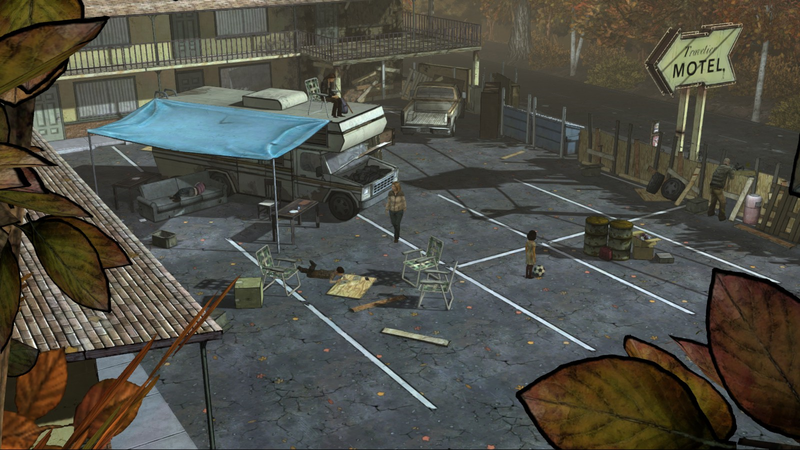 Walking Dead, if you haven't played it, is a narrative heavy zombie apocalypse game. At one point you're holed up at a barricaded motel with a group of survivors. Food is running low and people are tense. You've traveled with this group for a while and have your own personal feelings about each member. Now to the gameplay: you're asked to hand the last of the food and there's not enough for everybody to eat. You're going to chose who gets to eat. Mechanically this is pretty simple, it's visiting some "nodes" and selecting a subset of them, barely a mechanic at all. But the process of doing it and seeing the character's reactions, is far stronger than if you were merely an observer watching this take place in a film or series. The narrative and the mechanic are strongly linked. You're weighing up all sorts of things; how much you like a person, how much they need the food, how useful they'll be to the group etc these thoughts all depend on the person playing the game. If you separate the mechanic and narrative and try to fit them together with different systems - you lose something. There's something else going on that hasn't been accounted for, some hidden system that I don't really know how you'd go about reducing or abstracting out. If you dissect a frog you learn a lot about how frogs work but the frog dies and even if you put all the pieces back it doesn't come back to life.